Viewports are also responsible for delivering properly adjusted and scaled input events to all their children nodes. 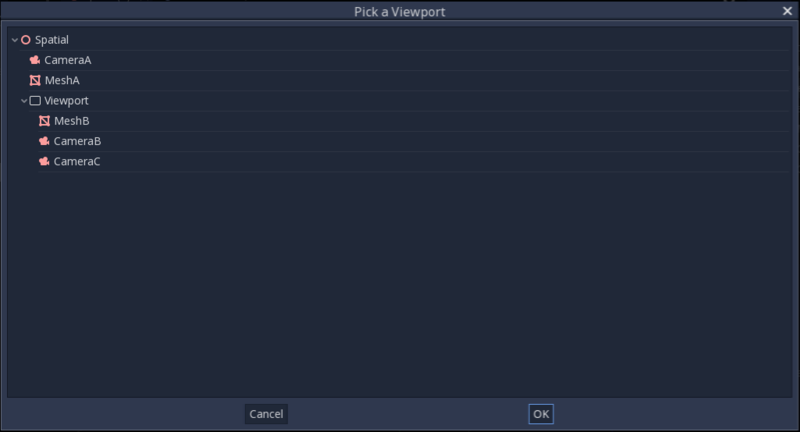 Typically, input is received by the nearest Viewport in the tree, but you can set Viewports not to receive input by checking ‘Disable Input’ to ‘on’; this will allow the next nearest Viewport in the tree to capture the input. Godot supports 3D sound (in both 2D and 3D nodes); more on this can be found in the Audio Streams Tutorial. For this type of sound to be audible, the Viewport needs to be enabled as a listener (for 2D or 3D). 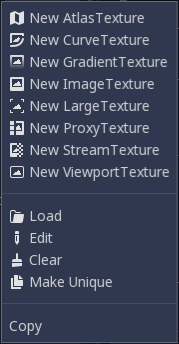 If you are using a custom Viewport to display your World, don’t forget to enable this! Viewports have a “size” property, which represents the size of the Viewport in pixels. For Viewports which are children of ViewportContainers, these values are overridden, but for all others, this sets their resolution. 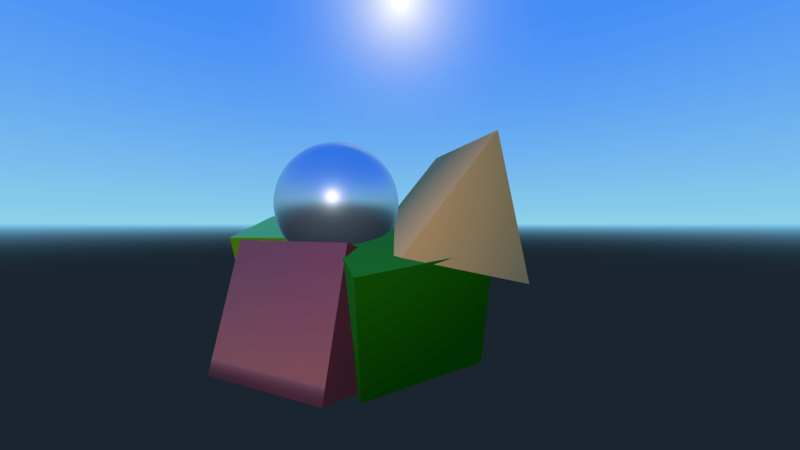 For 3D, a Viewport will contain a World. This is basically the universe that links physics and rendering together. 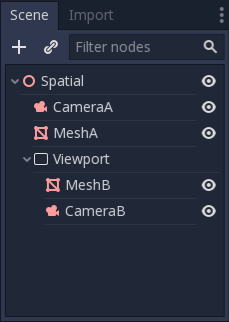 Spatial-base nodes will register using the World of the closest Viewport. By default, newly created Viewports do not contain a World but use the same as their parent Viewport (the root Viewport always contains a World, which is the one objects are rendered to by default). 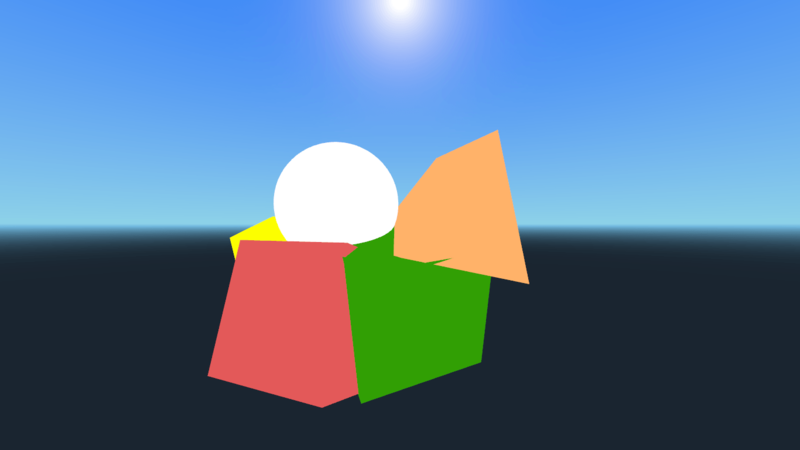 A World can be set in a Viewport using the “world” property, and that will separate all children nodes of that Viewport from interacting with the parent Viewport’s World. This is especially useful in scenarios where, for example, you might want to show a separate character in 3D imposed over the game (like in StarCraft). As a helper for situations where you want to create Viewports that display single objects and don’t want to create a World, Viewport has the option to use its own World. 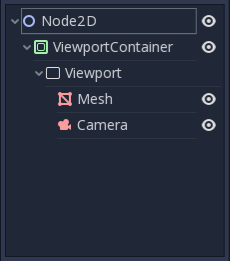 This is useful when you want to instance 3D characters or objects in a 2D World. 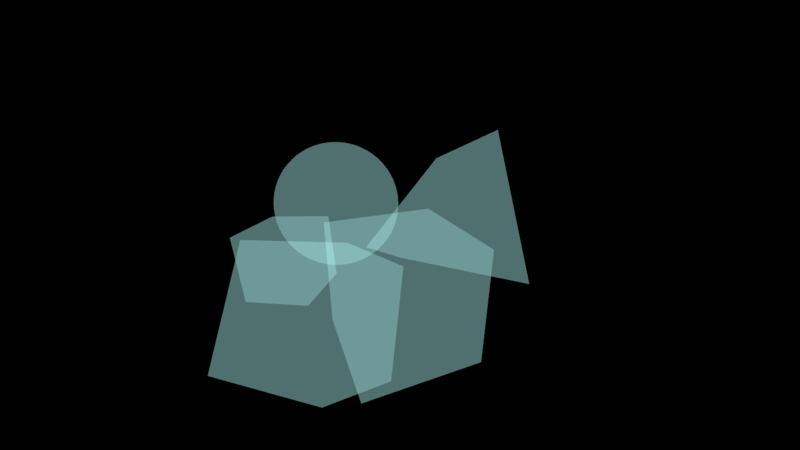 For 2D, each Viewport always contains its own World2D. This suffices in most cases, but in case sharing them may be desired, it is possible to do so by setting the Viewport’s World2D manually. Every frame, the Viewport’s texture is cleared away with the default clear color (or a transparent color if Transparent BG is set to true). This can be changed by setting Clear Mode to Never or Next Frame. As the name implies, Never means the texture will never be cleared, while next frame will clear the texture on the next frame and then set itself to Never. By default, re-rendering of the Viewport happens when the Viewport’s ViewportTexture has been drawn in a frame. If visible, it will be rendered; otherwise, it will not. This behavior can be changed to manual rendering (once), or always render, no matter if visible or not. This flexibility allows users to render an image once and then use the texture without incurring the cost of rendering every frame.